The new redesigned Suburban is a key player in our fleet. The bose discreet surround sound system with dual cd/dvd player, audio pilot noise compensation technology, tri-zone climate control and leather seating this is a true gem in its class. 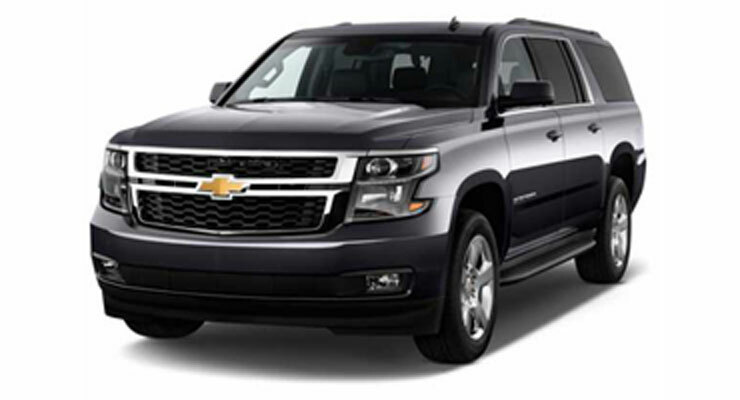 Larger than our sedans and with greater storage capacity, the Chevy suburban provides space, comfort and versatility without sacrificing style and appearance. Our SUVs are ideal for groups of more than three passengers and can accommodate up to six to seven. They can also be a comfortable option for passengers whose height or size makes the sedan less viable. The suburban’s luggage capacity also makes it a useful upgrade from the sedans on airport transfers, which can only have luggage placed in the trunk due to safety regulations. 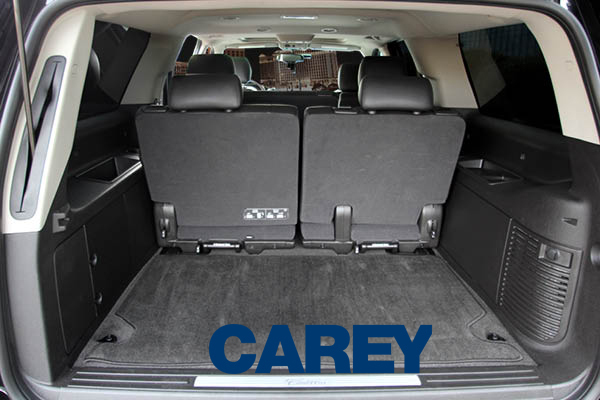 Therefore the SUV may be required to transport a large amount of luggage six large bags and two carry-ons. We also have the sister to the Suburban the new redesigned GMC Yukon xl with the same features.